Former Israeli President Shimon Peres on Tuesday suffered a stroke and was rushed to a hospital, where he was sedated and placed on a respirator ahead of a brain scan. 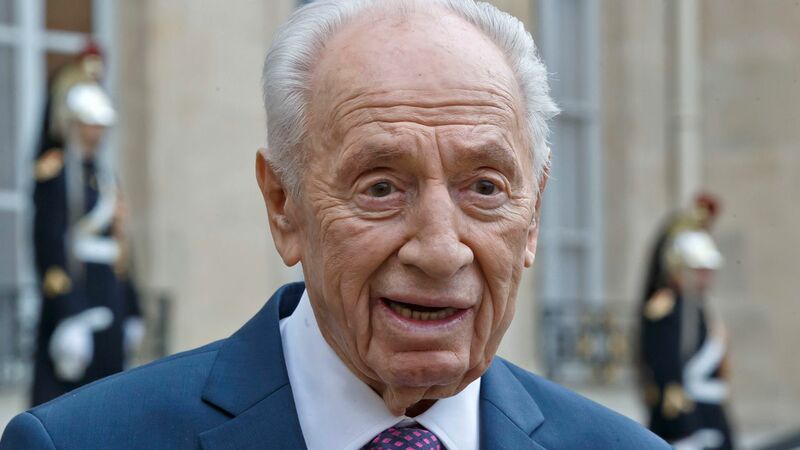 Peres' office said the 93-year-old "will undergo a CT scan so as to get a full and updated assessment of his situation." Israeli TV stations, citing hospital officials, said Peres was suffering from bleeding to the brain and described his condition as serious. Early this year, Peres was twice hospitalized for heart problems but quickly released. Just hours earlier, Peres had uploaded a video to his Facebook account urging the public to buy locally-made products. In the video, Peres appears somewhat weary but is otherwise alert and coherent. Peres has held virtually every senior political office in Israel over a seven-decade career, including three terms as prime minister as well as stints as foreign minister and finance minister. He won the 1994 Nobel Peace Prize for his work in reaching an interim peace agreement with the Palestinians. As president, a largely ceremonial office, he cultivated an image as the country's elder statesman and became a popular fixture at international conferences like the World Economic Forum in Davos. Peres has remained active since completing his seven-year term as president in 2014, and is one of the country's most popular public figures. He often hosts public events at his peace center, bringing together Arabs and Jews in efforts to promote peace and coexistence. In a message posted on Facebook, Prime Minister Benjamin Netanyahu wished Peres a speedy recovery. "Shimon, we love you and the entire nation wishes you get well," he said.